Was "attempting" to organize my fabric/craft stash when I came across my bag of "felt scraps" - I just can't bring myself to throw it away because there is always at least one more project or use for them. Please tell me I'm not the only one with this problem dilemma. Today's project took care of a few of those scraps . 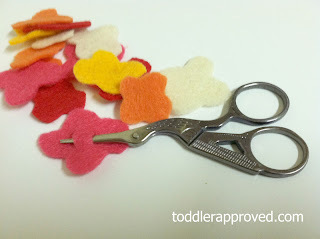 . .
Cut several flower shapes from felt. 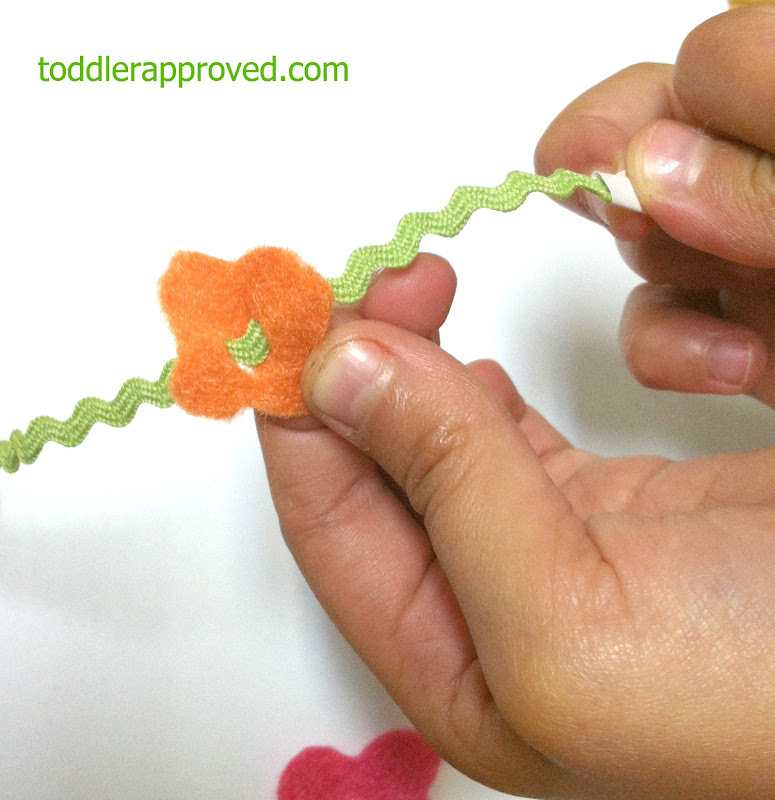 In the center of each flower, cut 2 small parallel lines (as pictured above) to weave your string through. 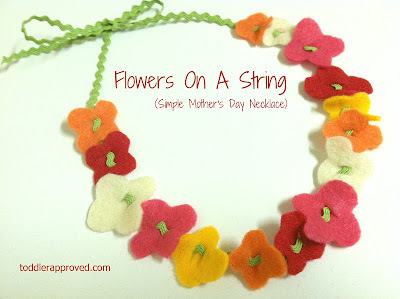 Thread flowers on your string. Tip: To make it easier for little hands to thread the string through, wrap a small piece of tape around one end of the string (to make it hard/shaped like a needle). Give it/wear it as a necklace or bracelet! 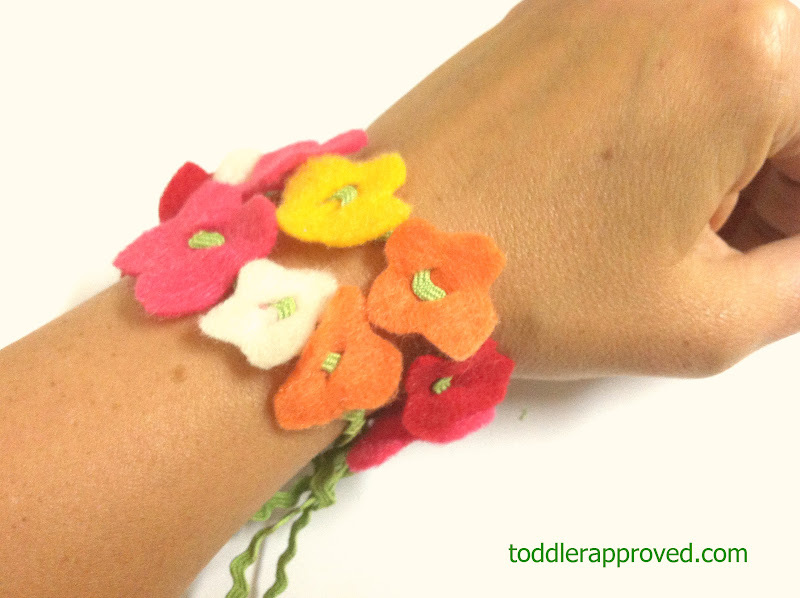 I love to receive hand made gifts from my children (especially on mother's day). What is the best mother's day gift you have received? This is really pretty. I would wear it. I'm thinking this could also make a good present for a little girl, her own jewelry making kit. Great "keep 'em busy" project! I think for my craft table/site this will have to be an added thing made BY my kids that can be their thing. So cute!